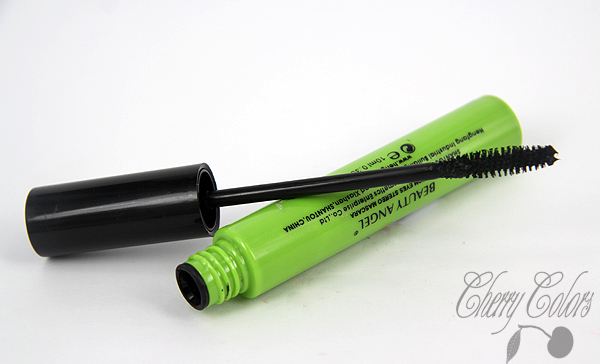 Review: Beauty Angel Turn-Up Long Mascara - Cherry Colors - Cosmetics Heaven! I got this mascara months ago. At first, I wanted to test it for good, but then it was just so good that I couldn't write a review for it. I kept delaying it. But now, that the mascara is long gone (all used up!) and I have tested it for good, it's time for a proper review. First of all, I got it from KKCenterKH for review purposes. My opinion is always honest. The wand itself it's nothing special. A regular mascara wand. But it's the mascara formula that does the trick! They are really light and the ends look nonexistent. And now two coats of mascara - it's incredible. 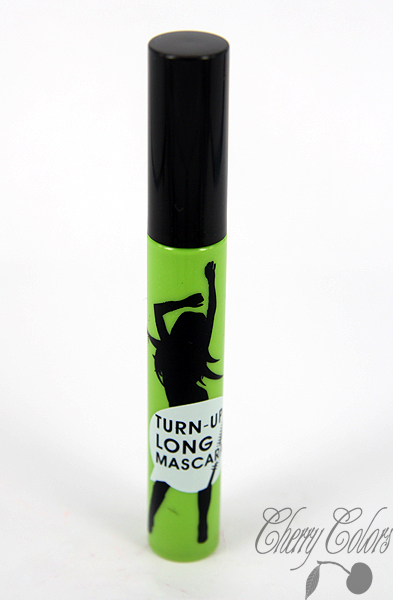 This mascara was my favorite of them all. Because I could cry with it, rub my eyes and nothing. It wouldn't budge. The only way to take it off was with makeup remover and even then there were little pieces of mascara (you remember the tubes mascara?) coming off my lashes. It didn't hurt, it didn't burn... it just looked funny. Those weren't fibers, but mascara. I loved it! Yes, I loved it! I can't wait to get another one because so far I didn't find anything like this! I love that it's long lasting, waterproof and even rub proof (tho you have to be gentle! since the pieces of mascara can easily come off this way) and that it comes in a nice packaging. Oh and the best part? It didn't irritate my eyes, which is a problem I have quite sometimes.